WATERTOWN, S.D. (KWAT)—Many employees who work for the city of Watertown will see a salary increase in 2018, but that does not include elected officials like the mayor and members of the city council. At Monday night’s council meeting, 2018 salaries were approved. The mayor’s annual salary is $80,437.20. 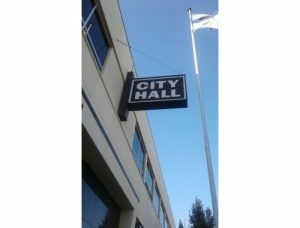 Members of the city council are paid $10,597.80 a year. Earlier Tuesday, the Codington County Board of Commissioners voted to give themselves a 1.5 % pay raise. Board Chairman Myron Johnson….